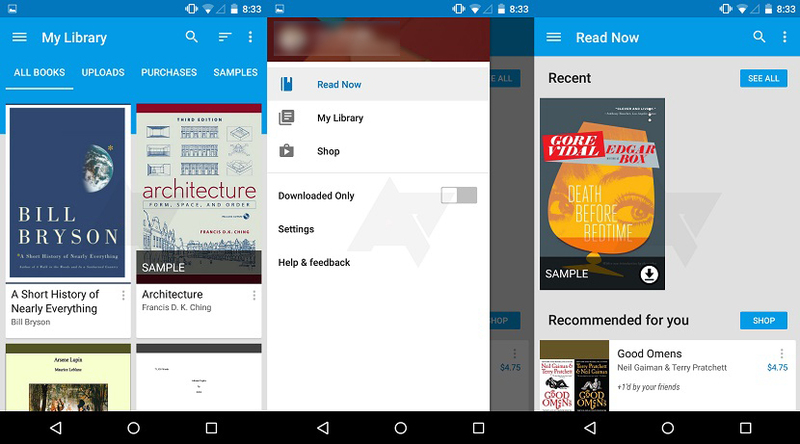 As expected, Google is updating their all the apps for the launch of Android 5.0 Lollipop, and after the many updates that we reported this morning, it is now the turn of Google Play Books, which in addition to the new design, it also has more features. The new version of the app, both for smartphone tablet, it is optimized for all the topics that are not novels. Cookbooks, manuals, guides, books and the like, can be easily navigated with the new index, allowing you to switch easily from one section to another. For those who want to Update from Play Store there is a badge below and those who want to sideload it has a direct link to the APK below the badge.